A professionally designed, custom website that’s fully optimized not only looks attractive, but will also help you bring in more traffic and leads. 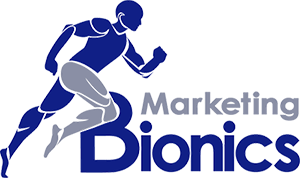 Marketing Bionics takes a tactical approach to site and content development that results in an improved online presence for your business. We incorporate your company vision with language and formatting that are proven to engage site visitors and drive conversions. Our methods of “persuasive design” have been developed on major sites and shopping engines with measured impact on ROI. We use that data to manage your content in the same manner. Effective lead generation requires a number of essential processes. As well as having a highly visible, attractive layout, your site should also include engaging content that keeps the visitor from leaving. Our SEO writers will ensure that you have relevant, detailed information to enhance your credibility. Our strategic use of consumer friendly content and calls to action is rewarded with prominent placement in search results. Let Our Web Designers Turn Your Site Ideas Into Reality And Really Get Your Business Noticed! Our custom design team is ready to employ our industry knowledge and expertise on your website to separate your business from your competitors. Let us turn your ideas and concepts into reality. You can count on us for excellent ongoing support, and our goal is to provide services that equate to more leads and sales for you. Whether you need localized or general content, we know what it takes to succeed online. Proper website creation is an essential part of any marketing campaign. However, any site design firm is only as good as the upkeep and maintenance provided afterward. We’ll work diligently to keep your online presence search engine optimized for visibility and lead conversions. If you’d like additional details on the advantages of a custom site for your company, please contact us today. Our friendly staff is eager to discuss your needs and create a custom solution for your business. Call us today or complete the contact form to get started.